– Le banche europee hanno in gran parte ricostruito i loro bilanci e aumentato i loro capitali, ma la bassa redditività è ancora una delle loro principali debolezze. – È improbabile che tassi di interesse più elevati siano di grande aiuto, mentre i rischi macroeconomici e i rischi idiosincratici (i c.d. “cigni neri”) sono fonte di preoccupazione. – Difficilmente vedremo fusioni bancarie cross-border che potrebbero realizzare economie di scala, soprattutto perché l’unione bancaria dell’UE è ancora incompleta. – La concorrenza dei giganti della tecnologia e delle realtà del fintech dovrebbe costringere le banche a innovare e, se possibile, a collaborare con questi soggetti per mantenere la loro rilevanza. The need for cost efficiencies, the credit cycle turning, and competitive threats from digitalization are the most pressing challenges facing European banks over the next five years, according to participants at a recent series of S&P Global banking conferences in Frankfurt, London, and Paris. The key factors weighing on the minds of bank investors include profitability challenges, idiosyncratic risks, and the potential for tech titans or fintechs to disrupt the sector. Participants polled at the three conferences are cautious about the future for European banks, nearly half (47%) of them indicating a pessimistic view, while only one-third were optimistic. The profitability of European banks has improved in recent years, but remains well below that of international competitors and below their cost of equity, the conferences heard. We forecast a median return on equity (ROE) for the major European banks of just over 7% in 2019, while market estimates for their cost of equity is around 8%-10%. The conferences considered cross-border bank mergers and acquisitions (M&A) could help improve ROEs. At the same time, they saw the incomplete development of EU banking union as an inhibitor to significant cross-border M&A, given the limited scope for capital and operational synergies in a merged banking group. Meanwhile, rising interest rates will likely have only a limited positive effect on bank profits because they will probably inch up only gradually. 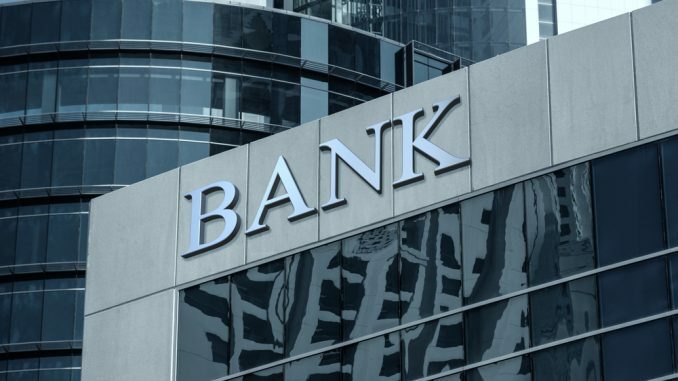 What’s more, unlike previous cycles, banks may not be able to reprice deposits at a much slower rate than loans because interest-rate sensitive customers will be much more likely to shop around between banks. Deposit transfers are also made easier given the increasing use of online and app-based banking. And should the economic cycle turn, central banks would likely combat a new recession by lowering interest rates again. In this fragmented European banking landscape, conference participants saw digital advances as a key element for optimizing cost management and raising profitability. They recognized that an increasing number of banks are identifying the competitive advantages of integrating fintech partners or fintech services into parts of their value chains to drive efficiencies. Nevertheless, tech titans pose a greater threat to banks’ relationship with their customers, the conferences heard. With market capitalization far exceeding globally systemic banks, tech titans such as Apple, Amazon, and Facebook are well placed to disrupt certain areas of banking. Cedole da difesa o attacco?